Join us for dinner after work to learn natural treatments for your digestion and immune system to support your body as you indulge this holiday season. Healthy food examples will be given, of course! Join Dr. Kaylee Alton at the 1 University Ave WeWork location, as she teaches this witty and informative health class on how to support your immune and digestive systems over the holidays. Learn what supplements to have on hand, at home, when you need them if you get sick, and what supports to take as you indulge in sugar this holiday season, to prevent you from getting sick or gaining weight. We aim to help Toronto’s most ambitious population of young professionals, creatives and entrepreneurs, maintain their health and preventing diseases long-term stress can create, as they grow their careers, companies and portfolios. Come out for an evening of empowerment in your ability to care for yourself, and a great yoga & movement session. Stay to hear the inspiring stories of both our doctor and yoga instructor, connecting women across Toronto in community and in health. Bring a yoga mat & wear comfortable yoga clothes. Mental health continues to be the number one topic of concern at the doctor's office, especially in the winter, when it comes to low-mood and seasonal affect disorder. Come join us for a yoga class & educational session by Naturopathic Doctor Kaylee Alton and Laya Spa Founder & Yogi, Alessandra de Olivieira, to learn how to boost your mood and avoid the winter blues. Dr. Kaylee has been practicing in Toronto coming on 5 years, and is passionate about helping successful professionals learn how to take better care of themselves and live a healthy lifestyle in the hustle & bustle of the city. 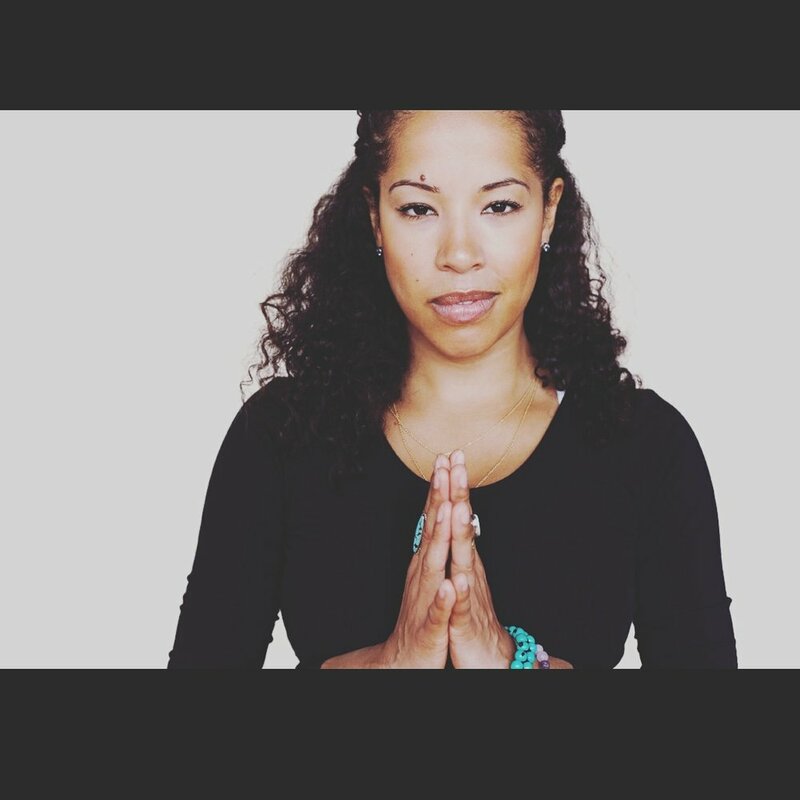 She loves to teach and help women connect to their bodies. At this workshop she will touch on the gut-brain connection and strategies to support your mood through your gut health, understanding how vitamin D plays a role, what Light Box is best for you, self-care practices, teas & supplement supports, as well as what our bodies need to be in balance. A native of Brazil and long-time resident of Toronto, Alessandra combines beauty techniques from her hometown of Rio de Janeiro with the sensibilities of Ayurveda systemic-balancing, an ancient Indian tradition. For a decade, Alessandra has built a reputation on relationships and making people feel comfortable as they beautify in her care. When she’s not with clients, she carefully divides her time between director and owner of the spa. This helps keep her close to the pulse of the community, the needs of her clients and top of the latest happening in beauty. Alessandra will be leading us in some movements to give your mood a pick-me up and describe how self-care can play a large part in boosting your mood. Do you suffer from dry skin? Does your eczema flare up in the winter? Did you miss my talk on acne and getting healthy skin from within, this past summer? Well we are back! Monday Dec 4th. 7:30-9:30pm. Get your tickets through paypal here. Get the latest news on how to take care of your skin, from the inside out! Dr. Kaylee will discuss understanding acne, how your eczema is triggered, how your gut affects your skin, the importance of blood flow for clearing complexion and improving dry skin, and strategies to support your skin through this cold season. Handouts will be provided, supplement samples will be given out, and special treats will be provided. Come ready to learn and take something home to be applied. Plus Julie Clark, Toronto's natural beauty enthusiast & founder of Province Apothecary organic skincare line & boutique, will also be presenting on skincare, facial massages, what ingredients to look for in skincare products & dry skin brushing & more! Guys & Girls welcome! Limited seating available. Get your tickets through paypal here. Workshop: WE'VE HAD TO RESCHEDULE - Sign up for the pre-sale list and get notified of early-bird pricing! Learn more and Sign up for the Pre-Sale list here. Join Dr. Kaylee Alton, ND, as she shows you how to improve your energy and understand how stress impact's your body. Whether you are in burnout mode, or relatively healthy but want to take your health to the next level, your body's hormones drive your energy production and Dr. Kaylee will share what you can be doing to optimize their function. How to Get Healthy Skin from Within! Add health to your beauty routine. Join Dr. Kaylee Alton, naturopathic doctor, as we talk about how our gut health, digestion and what we eat, affects our skin. From a glowing complexion, to eczema, acne, hives and dry skin; learn what foods to eat to support your gut health and skincare, what at home remedies you can use and when you need a prescription from your naturopathic doctor. Dr. Kaylee will be sharing just how using her services offers something different compared to what your family doctor or dermatologist would give, and best of all, improve your body literacy. Bring yourself and someone you know could use some help!